Filipino cuisine has the some of the most unique ways of preparing food. One can argue that while main courses such as adobo, menudo and lechon have started to make international waves, well-loved Filipino desserts have yet to be discovered. With over 114 ethnolinguistic regions with the country, the topic of food is diverse and differ from region to region where they incorporate ingredients that are native to the area. Here is a list of some of the most popular Filipino dessert ideas that you should know. The Philippines is a tropical country and its desserts are made from the main produce of rice and coconut. Provinces throughout their country have their own recipe for desserts and would often use native ingredients from their area to make the dessert their own. Ube Halaya has risen into popularity because of its purple color. It is arguably the dessert mostly associated with Filipinos internationally. 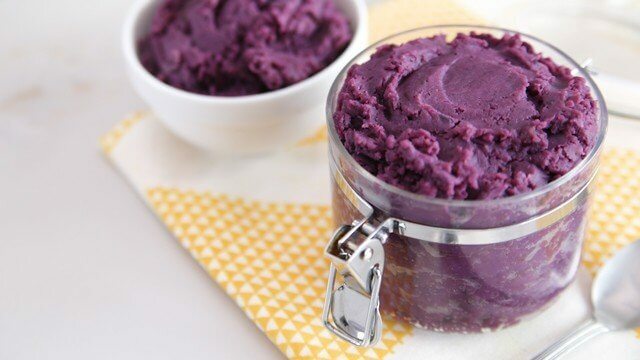 In the same group as the Chinese red bean and the Japanese matcha, ube in its purest form is from purple yam, which is then mashed and grated until it acquires a smooth consistency. The association of ube to pumpkin butter is real and by accompanying it with other desserts such as bread, ice cream and fruits, its carbohydrate benefit can equal those of a mashed potato. Several ways of eating ube include spreading it on toast, using it as filling for pies and as a flavor for ice cream and cakes. Its versatility with a hint of sweetness which makes this dessert a Filipino classic. Just like Ube which is making its way to the Atlantic, halo-halo is one of those desserts that have unexpected ingredients mixed together. A concoction of beans, gelatin, coconut shreddings (locally known as macapuno), coconut gel (nata de coco) and various sweet fruits like cantaloupe, jackfruit or banana are assembled into a bowl of shaved ice–complete with shaved ice and milk. The best thing about halo-halo is that because it is easy to make, everything is up to you: if you want more fruits, more jelly, coconut or less sugar, all these possibilities are possible. What makes halo-halo unique is mainly the coconut shreddings and coconut jelly. Boba and/or gelatin can be added for more texture. One can finish it off with toppings such as pudding, flan, ice cream or ube. Other varieties of halo-halo go with a single fruit like banana – as its main star. A purer version of the halo-halo – instead of many ingredients, it gets narrowed to corn kernels, milk, sugar and shaved ice. This dessert is perfect to combat the summer heat and preparation time is just a total of 15 minutes. All ingredients are available in a local supermarket and even if you are not from the Philippines, the recipe is straightforward. When feeling fancy, Mais Con Yelo is perfect with a top of vanilla ice cream. Known as mango icebox cake, this non-bake creation is a delightful treat that is easy to make – especially since all the ingredients can be found in your local grocery. With three ingredients, graham crackers, cream and assorted fruit, this dessert can be anything you want it to be except boring! A common favorite among Filipinos are the mango toppings (mangoes are in season for most of the year). The combination of chilled, soft biscuits go well with the silkiness of the cream and the sweet taste of the mango adds a rich flavor which can be quite the experience. You can replace the crackers with broas or store bought cake. The recipe requires no baking and all you need is a cool place to store the cake until it sets – in other words, the fridge. Buko or “Coconut” is the main ingredient of this baked pastry that originates from the town of Los Banos in the South of Luzon, Philippines. Buko Pie is translated to baked coconut pie and is the Philippine counterpart to the American pie. It has some similar characteristics to the coconut cream pie but instead of meringue or custard, the contents are replaced with condensed milk. The pastry is reminisced of klappertaart, that has its roots in Dutch-Indonesia and South Africa but without the fruits and nuts. In creating the crust, one can use condensed or evaporated milk if you want something less sweet. The buko pie is generally made with a flat and flaky top. There’s also an option of topping the pie with coconut flakes or crumble which are variations and there exists smaller versions of the pie appropriately named as buko tarts. The same type of pie has other fruit versions like pineapple pie, mango and banana. Sorbetes, otherwise known as Philippine ice cream, was introduced to Filipinos during the American occupation. At that time, coolers and refrigerators have been brought from the States. Carabao (water buffalo) milk is used instead of milk to cut costs. Commercially-produced sorbetes is available in local stores nationwide but peddling ice cream in painted wooden carts. These wooden carts are colorful on the outside with two wheels balancing the cart. Shaved ice with salt allows for the ice cream to stay cold longer. Ice cream in sorbetes carts usually come in three to five flavors; this is the traditional way of enjoying sorbetes. This dessert is traditionally served in sugar or wafer cones or in between salt bread (pan de sal) as an ice cream sandwich. This Filipino version of a cream caramel or creme brulee has its named derived from the Spanish flan de leche (milk flan). It has its variations in parts of Asia (Japan, India, Malaysia, Vietnam), Europe (France and Spain), Latin America and the United States. The differences of the Philippine flan recipe lies in its preparation and cooking processes. Where cream caramel and creme brulee are baked, leche flan is steamed for half an hour Sugar is placed to a pan until it turns to a brown syrup; this flan that does not involve a cracked or darkened top. Ideally served to a large group of people, the custard is poured into a llanera. A llanera is an oblong shaped tin pan used specifically for the leche flan. When exposed to the hot steam, llaneras are covered with foil and will hold the mold of the custard to keep its shape. Sweet cheese bread for dessert satisfies the craving of luscious dough to finish our meal. With ensaymada, its pillow softness is a distinguished characteristic of this bun that is made from the main ingredients sugar, yeast and cheese and has evolved into different varieties (egg and cheese, ube, four cheese, banana and much more) and sizes that one has got to try it at least once. With its creamy, salty-sweet sensation, ensaymada is one bread you will never forget. This gelatin-based dessert has been charming Filipinos because of its familiar creamy and chewy texture. As coconut is one of the most marketable fruits in the Philippines, it perfectly compliments the aromatic sweetness of the pandan. The basic ingredients consist of cream and pandan-flavored gelatin that can be bought or homemade. Just like the halo-halo, it is chilled after being made and afterwards seasoned with a subtle vanilla-esque flavor that adds freshness and makes it taste better with each bite. Ginataan is a Filipino cooking term referring to food cooked in gata (coconut milk). Gata is an ingredient in many savory Filipino dishes but as a dessert, one of the most popular gata-based dishes is Ginataang Bilo-Bilo, originating from Laguna, south of Luzon. Bilo-bilo is a glutinous rice ball made from flour and water that makes for a chewy-soft texture when mixed with the ginataan. Along with the bilo-bilo, this dessert is made with buko pandan, the root vegetable of your choice: ube, tarot, sweet potato and the fruit of your choice (banana, coconut or corn). In some regional recipes, coconut meat, tapioca and gelatin can also be added for more texture. Turon is a Filipino dessert derived from the turron de banana and turron de platano brought by Spanish Colonizers to the country. Also known as lumpiang saging, this dessert is also a popular street food. A thinly-sliced banana with jackfruit is wrapped in spring roll wrapper and deep fried until golden brown. It is enjoyed with caramel syrup and powdered sugar or, if feeling indulgent, with ice cream. Turron fillings are not limited to just banana; sweet potato (camote), mango, mung-bean, coconut and cream cheese are also used. Bibingka is a rice cake made from the traditional ingredients of rice flour, coconut and water. Traditional preparation requires for the ingredients (including milk and eggs) to be poured into a clay pot and cooked over heated coals. The pan is then covered with a banana and more heated coals so that the heat can pass in all directions. The end result is a fluffy sponge that is then topped with butter, sugar, cheese, coconut shreddings and salted eggs. Kutsinta is a steamed rice cake with the ingredients of rice flour, brown sugar and annatto seasoning. It was believed that the Kutsinta was brought to the Philippines by the Chinese as early as the 9th century. The word ‘Kueh’ in ‘Kueh Tsin Tao’ is pronounced ‘Kush’ in the Chinese dialect of Hokkien means ‘little cake’. Kutsinta is steamed inside molds where the batter, a mix of brown sugar, water and annatto (an orange-red condiment used for food coloring), gives the jelly-like texture and brown appearance. Because of its ingredients and straightforward, kutsinta is low-fat. It contains 0.33 per cup of cake and because the fat is derived from the rice flour, it is considered healthier. To finish the kutsinta, coconut meat is sprinkled to give it extra chewiness. Palitaw is taken from the Tagalog word litaw (to float or to rise). It is characterized by being small and flat–an effect consistent with soaked and grounded sticky rice made into flour. This rice cake is made into little balls and cooked into a pot of water. If the cake floats then it means that they are done. After the dried palitaw has been flipped on the stove the second time, it is dipped in sesame seeds, coconut sprinkles and white sugar. Just like the street food and main dishes, local desserts have ingredients that are in season and are distinctly Filipino. We have provided a few tidbits you might want to consider when eating these desserts. Desserts can be as common as snacks. We know that deserts are often served after a meal but in the Philippines, they can be eaten at any time of the day and often paired with a sweet drink or sometimes coffee or tea. Be open-minded. Fruits like the rambutan, jackfruit, atis are just as much used in cakes, buns and drinks like more known fruits such as handpicked bananas, pineapple and coconut. With regards to your typical flavored vanilla, chocolate and strawberry that is sold in local ice cream outlets, more exotic flavors such as ube, dulce de leche, buko pandan, mango, mocha and cheese bring out the Philippine taste. Other unconventional flavors are carabao milk, salted egg, tamarind and tofu. Eat in moderation. Since butter is considered generally expensive, desserts are made from either sugar, brown/coconut sugar or margarine that lessens the fat content. Having said that, eating Filipino desserts all the time is not a healthy choice, considering the ingredients that are used during the preparation process. It is best to eat them in moderation. Filipino dessert ideas often have unexpected ingredients. Determining what tastes the best depends solely on one’s preferences. Some desserts focus on the sweetness while others have a coating of different ingredients dancing on your tongue that make for a lasting effect. Filipino desserts are prepared differently as recipes vary based on region and culture. While some of the recipes have its equivalent in other places, each dessert hopes to appeal to the variety of flavor preferences one has. It is always exciting to try something new especially if that one is dessert.